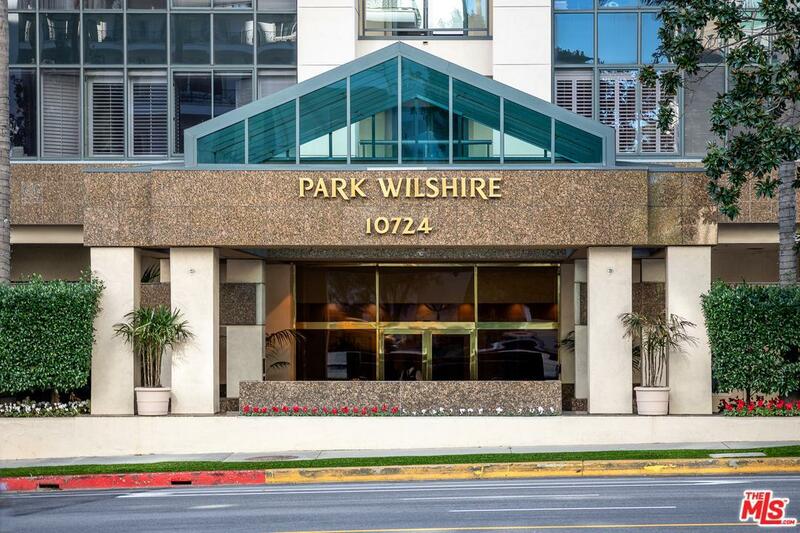 Enjoy resort-style living in the highly coveted Wilshire Corridor. 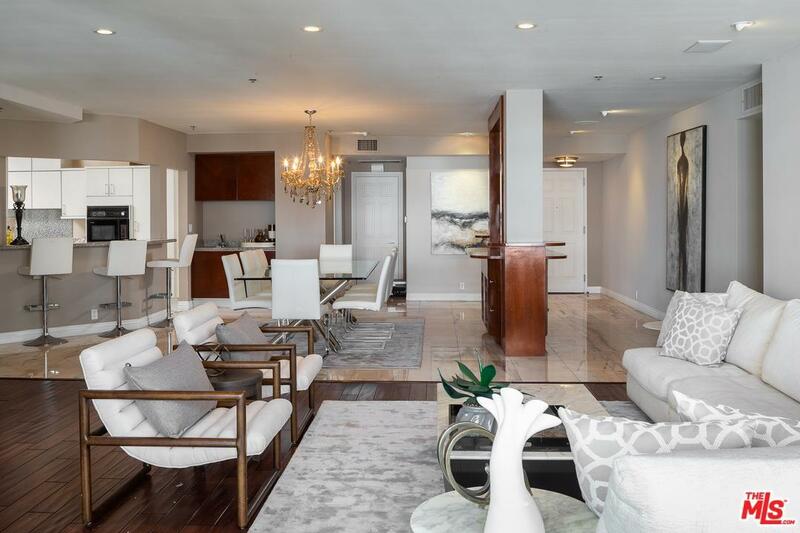 This light and airy 2 bed, 3 bath Park Wilshire condo was immaculately designed with great attention to detail. 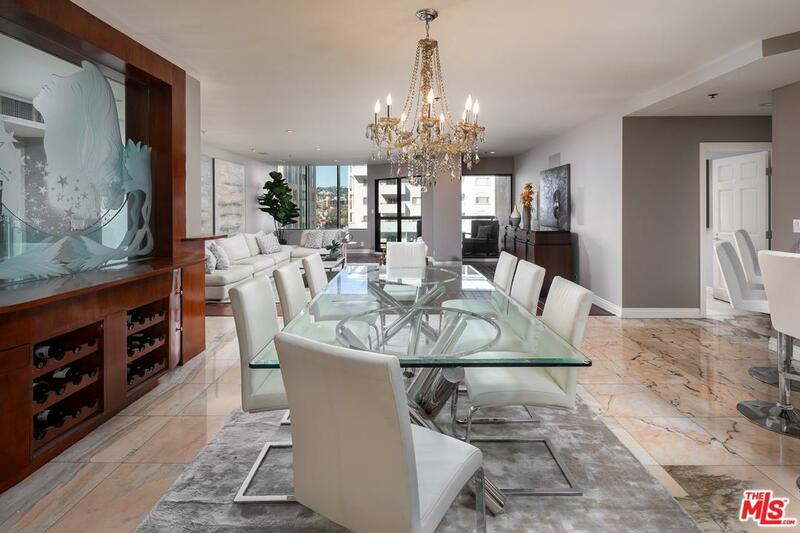 Enter through the formal foyer with marble floors and into the elegant dining room from which all other rooms branch. The sun-soaked living room with hardwood floors opens onto the balcony with views of the city at every turn. The well-appointed kitchen with a picturesque servery window is an entertainer's dream. Wake up to views of the city in the open master suite. Unwind in the master bath rivaling a five-star spa with tasteful design, separate shower, spa tub, and dual sinks. With access to 24-hour valet and concierge, gym, library, heated pool, spa and steam room, ballroom, music room, and the relaxed clubhouse, you'll never want to leave. Your luxurious Los Angeles lifestyle awaits. Sold by Subscriber Non BRE#00996960 of Non-Participant Office. Listing provided courtesy of David Kramer DRE#00996960 of Hilton & Hyland and Brandon Asherian CA DRE# 01986559 of Real Estate Broker Services Inc..
Based on information from CARETS as of 2019-04-23T13:45:25.677. The information being provided by CARETS is for the visitor's personal, noncommercial use and may not be used for any purpose other than to identify prospective properties visitor may be interested in purchasing. The data contained herein is copyrighted by CARETS, CLAW, CRISNet MLS, i-Tech MLS, PSRMLS and/or VCRDS and is protected by all applicable copyright laws. Any dissemination of this information is in violation of copyright laws and is strictly prohibited. Any property information referenced on this web site comes from the Internet Data Exchange (IDX) program of CARETS. This web site may reference real estate listing(s) held by a brokerage firm other than the broker and/or agent who owns this web site. The accuracy of all information, regardless of source, is deemed reliable but not guaranteed and should be personally verified through personal inspection by and/or with the appropriate professionals.